Recently, WOW has been assisting a client with her impending move to a foreign country. Although any move can be stressful, an international relocation adds much complexity to the process. It is important to prepare for such a move months ahead of time and maintain an organized strategy. To help with this, we have created the below list of tasks to address prior to your move. Follow this list and you’ll find yourself living in the new country without issues left over from the U.S. Prepare home for move: cancel lease, sell home, engage renters, etc. Disengage services: maid, gardener, pool maintenance, etc. Obtain list of all schools your kids attended and dates, including contact names and addresses, original transcripts or report cards, list of current text books and course outlines (This will assist you and the new teacher in determining what level your child is at), test results of tests, in particular any standardized exams, particularly for English, Maths and Sciences. Check with your account regarding tax requirements in the U.S.
Good luck with your exciting journey and moving company! 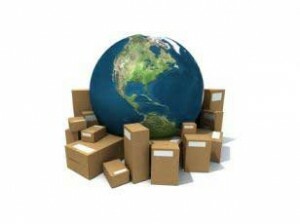 For more information on stress free moving, please, visit http://thewellorganizedwoman.com/2012/05/22/international-moves-how-to-prepare-what-to-do/. When we moved back to the States last year our moving company packed everything for us which makes it easier on the Customs end entering the US. I’ve heard if you pack it yourself there could be delays when going through Customs. It’s also a great opportunity to sell your stuff and downsize your life. We made a handsome sum of cash by selling things we weren’t interested in shipping.